The Shore Shredders is for riders on a bike with a 24 inch wheel or larger. These riders would like to start riding the trails on Fromme Mountain or expand the riding they are already doing on Fromme Mountain. These riders will spend time advancing their level pedal, body position and climbing skills. They will building confidence while riding on Bobsled, Roadside Attraction and King of The Shore. Riders will session sections of a trail to practice with rolls, corners and a variety of other skills. With time, riders will explore more technical trails like Upper and Middle Griffen and possibly Floppy Bunny. 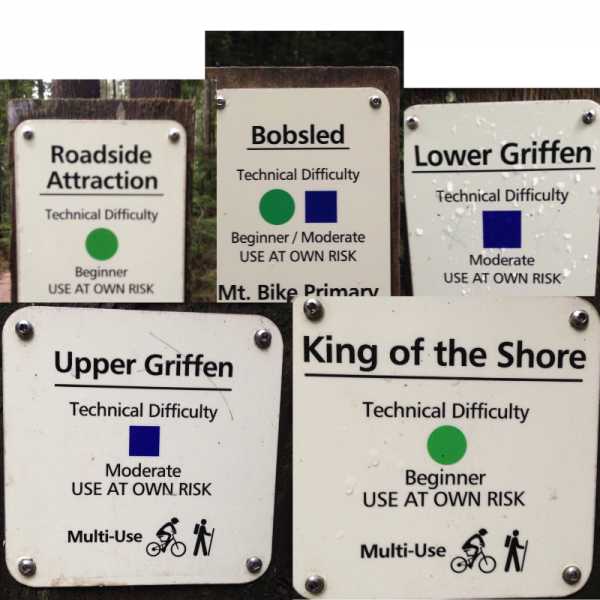 Building skills, confidence and a passion, while exploring the trails on Fromme Mountain!! Have spent time riding the technical trails in the Demo Forest. Have acquired riding skills such as the use of level pedals, have an understanding that different body positions are used for decent and ascent and realize that a rider needs to go up before they have the joy associated with going down. Go to the very top of Mountain Hwy. Pass through the yellow gate and follow the gravel road to the hill leading down into the parking lot. Please meet your Escape Coach at the North end of the parking lot.